The purpose of this Independent Ethics Committee or Ethical Review Board is for MEBO and research study participants to address procedural and ethical questions to the IRB members as studies are conducted and new programs are developed. This Board consists of four (4) Primary Scientific members and three (3) Non-scientific Specialty members. It has been, and will continue to be, MEBO Research's focus to establish a strong foundation upon which our international community of sufferers can rest to find organizational strength in order to bring about substantial changes to sufferers' lives by initiating research to find the proper treatment for all types of body odor conditions, including rare diseases, such as TMAU and other yet-to-be-defined genetic conditions that result in chronic and difficult to control body and breath malodor. 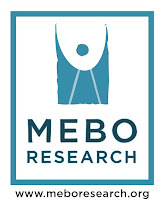 For more information, please contact, maria.delatorre@meboresearch.org.